What Is Vietnam Soy Sauce? Vietnam Soy sauce is a familiar sauce use by many people for their own meals. It is familiar on the kitchen counter of every house cannot not contain a bottle of this sauce. It is so familiar that sometimes we do not need to find out what soy sauce is. Where it comes from and what it does. 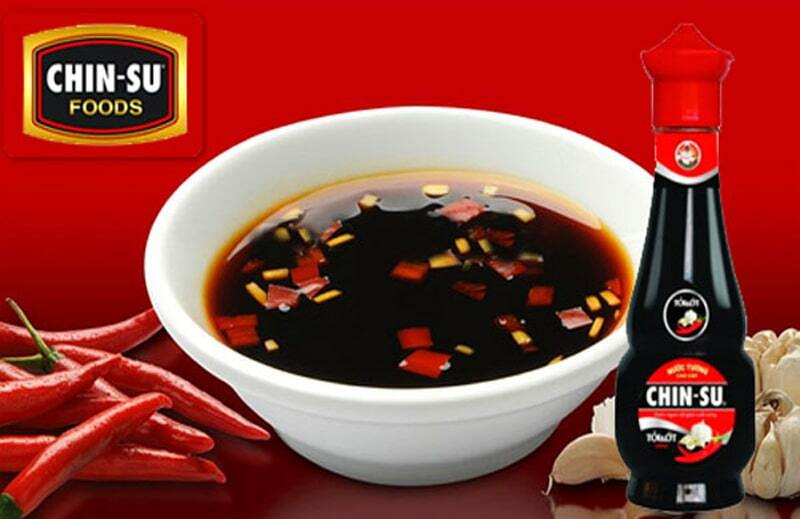 This sauce, originating from China, is an important ingredient for flavor and is commonly used in Asian cuisine especially in East Asia and Southeast Asia such as: Chinese Cuisine , Japanese cuisine, Filipino cuisine, Korean cuisine … In recent years, Chinsu Tam Thai Tu Nhat Ca Soy Sauce 500ml has also appeared in some dishes of Western cuisine, especially a component of Worcestershire sauce. Soy sauce, also known as soy sauce or yogurt, is a salty brown liquid. Use to make spices when cooking or making sauces. Soy sauce is ferment from whole soy beans and has a very long history. As technology begins to grow, soy sauce is also produce by acid hydrolysis. 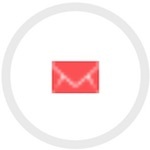 However, no matter which method it is process. The Vietnam soy sauce is good and quality must ensure the typical flavor of soybeans, with moderate consistency. How is soy sauce created? 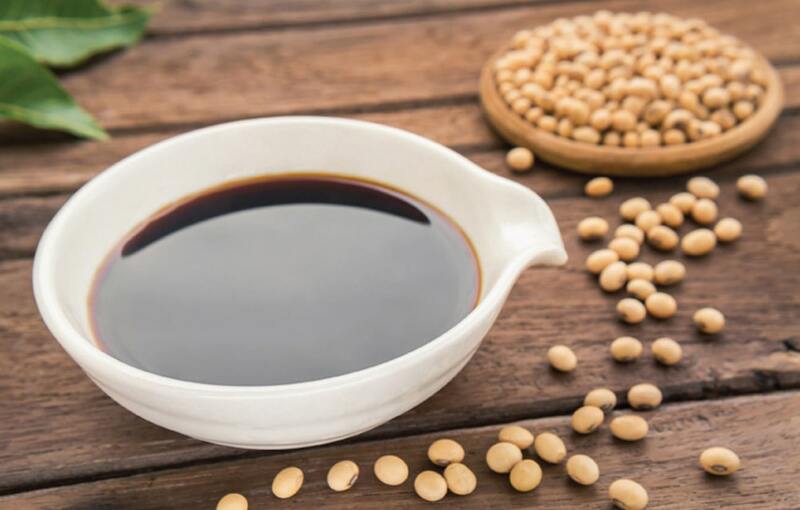 In order to create a good soy sauce, 100% natural ferment soybeans must be use. Because this method not only preserves the quintessence of soy bean, but also is safe for health. 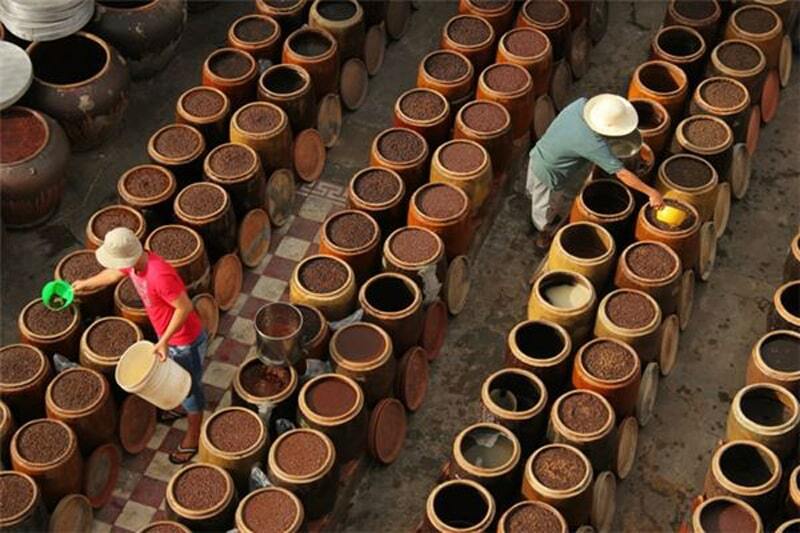 The process to make Vietnam soy sauce has to go through 6 steps. From raw material selection, soy and wheat pasteurization, to mold making. Wait for natural fermented soy and wheat blends during the 3-6 months time, then extract, pasteurize and mix with other ingredients to produce a standard bottle of soy sauce with the natural flavor of soy beans. The most important stage in the process is mold and fermentation. In order to be able to get a taste of nature. Soybeans must be brew to ferment with a completely natural mushroom strain. This is a question of many people about these two types, soy sauce and oyster sauce are completely different. Oyster sauce is a dark brown gelatin sauce, extract from oysters or industrially made with ingredients such as water, salt, sugar, flavor flavor, synthetic oyster flavor. While Vietnam soy sauce made from fermented soy beans. Vietnam soy sauce is more liquid and not as dense as oyster oil. Just looking at such components and forms knows that these two types have nothing to do with each other. 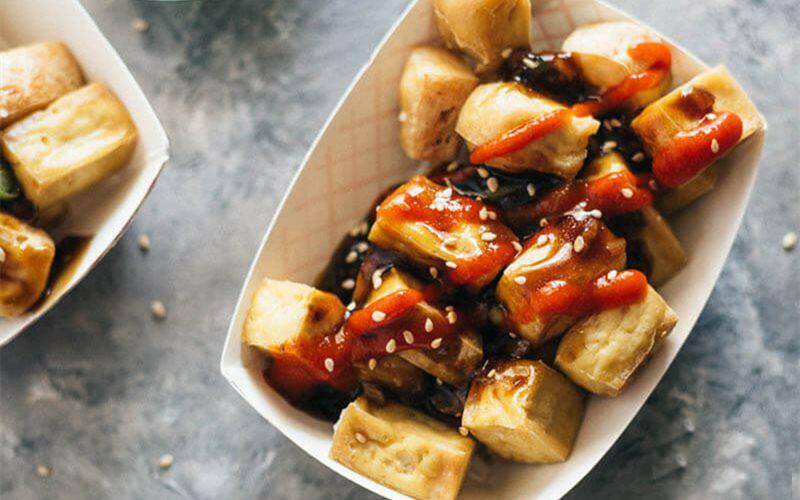 Soy sauce is used as a dipping sauce or to marinate ingredients and possibly for vegetarian use To preserve soy sauce, when you buy it, you should preserve the shady place, avoid direct sunlight. If the bottle of Vietnam soy sauce has been open without being store in a place with a low temperature, it will be bitter. Hopefully, the information in this article will help you better understand the familiar soy sauce and use them appropriately to ensure the delicious and safe meals for the whole family. If you want to use Vietnam soy sauce for health, you need to choose branded soy sauce, clear origin and quality accredited. Should choose the soy sauce containing preservatives and naturally fermented to feel the delicious, natural sweetness of this sauce, spice. Currently Gold Food is finalizing the final stages to bring 2 delicious Vietnam soy sauce to consumers to enjoy. It is the traditional soy sauce Co Ba and ChiBa. With clean soy sauce, safe for health. Gold Food hopes to bring the most warm and delicious meals to families. Understanding these things together with the desire to bring Vietnamese consumers delicious, nutritious, healthy sauces. Chinsu Tam Thai Tu Soy Sauce was born. Prepared with a strict and modern production process. From the best quality ingredients, ferment pure and delicious soy beans with fresh garlic and fresh peppers. Chinsu confidently brings convenient sauce, but still retains the perfect taste. 3-tiere flavors: sweet and sour soybeans, fresh, spicy chilli, garlic freshly scented … mix your own hands. Now, just pouring out the cup is my home has immediately fresh garlic chili sauce to dot with delicious dishes. Help family meal more delicious, bring rice. 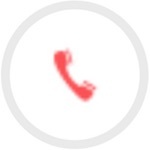 Find out more Chinsu Tam Thai Tu Soy Sauce – Marketing Based On Fear. Tam Thai Tu soy sauce has long been popular and attache to every Vietnamese family tray from South to North. No need to elaborate elaborate blends. Just pour Tam Thai Tu soy sauce into small cups and dips and familiar dishes. Stir-fry vegetables will also become more complete. Monotonous boiled meat also becomes better than super part. By Tam Thai Tu does not change the particular taste of the dish but only increases the flavor, helps the dish more delicious and attractive. With exquisite cuisine. Vietnamese consumers have “upgraded” Tam Thai Tu by combining Tam Thai Tu soy sauce with garlic and chili to make the characteristic dipping sauce with a mild scent of fresh garlic. The spicy sting of red chili that everyone tried to taste had a good compliment. Tam Thai Tu soy sauce chili garlic easily conquered adults. Because it is suitable for all familiar dishes of simple Vietnamese people such as windsurfing tofu, fried fish, shrimp roll to dishes complicate complex such as grilled goose, fake eel or eel … When dipping with Tam Thai Tu chili garlic. The taste of the dish is like “resonating” and increasing with 3 layers of flavor. Sweetness of Fermented Vietnam soy sauce from natural soybeans. Freshly spicy chilli. Freshly fragrant garlic.